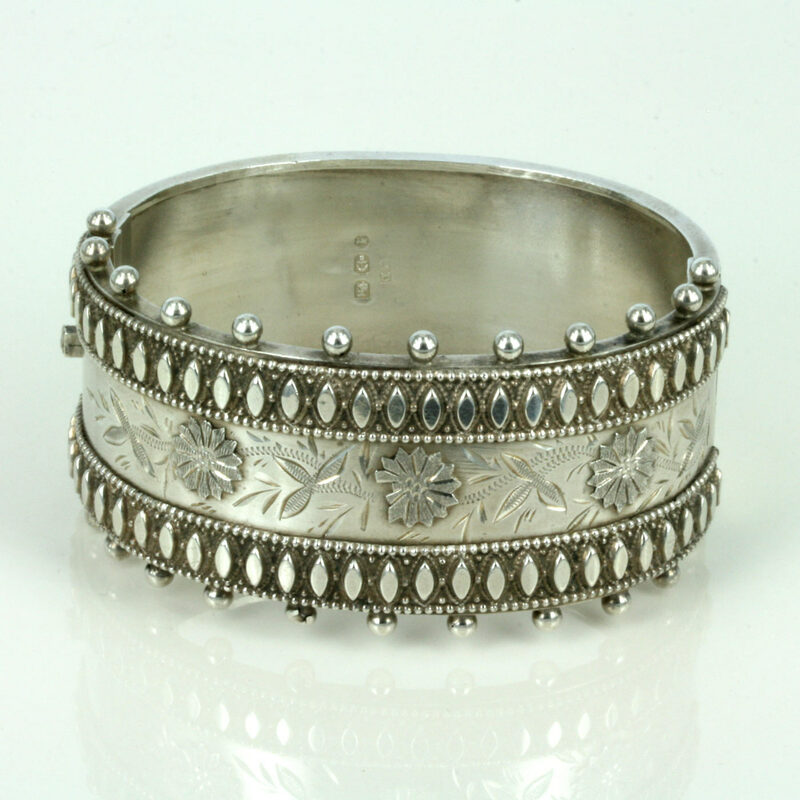 Sterling silver antique bangle from 1885. Product code: 1237 Categories: Sold Items, Sold Jewellery. 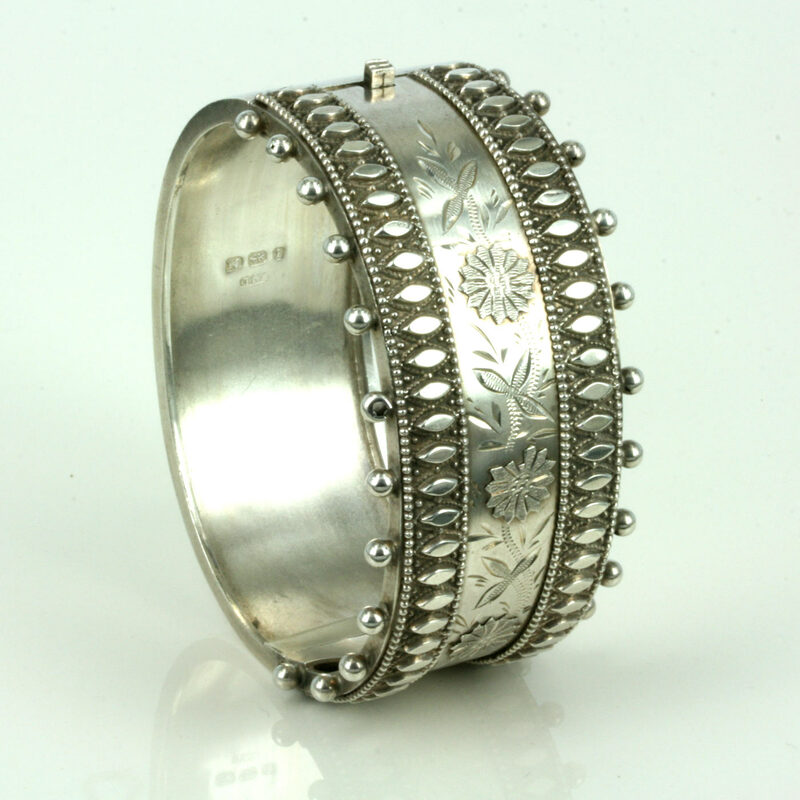 This is a very attractive antique hinged bangle made in sterling silver in 1885. Measuring 2.5cm wide (3.1cm to the very edge of the balls on the side), this bangle sits so perfect on the wrist. With beautiful hand engraving and attention to detail, this is a very attractive example of an antique sterling silver bangle.